At freaking last! 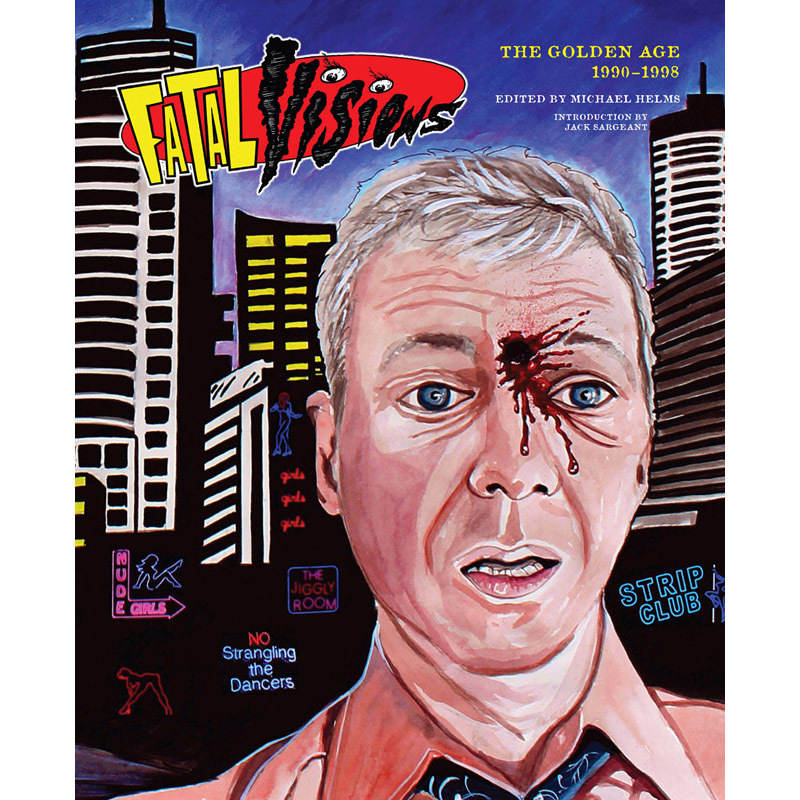 A collection of FATAL VISIONS, Melbourne’s own infamous trash film zine, has congealed into perfect bound format. 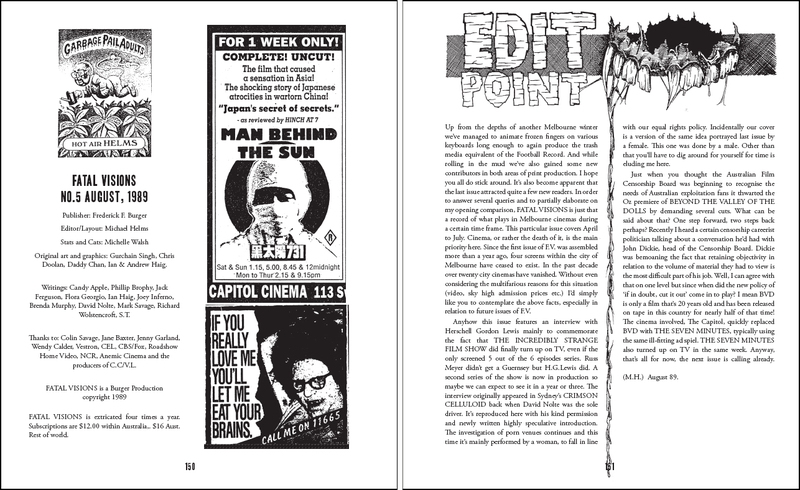 Proving that dead tree technology has not entirely slipped into a coma this compilation covers the earliest and rarest entries in FVs decade-long publication history. 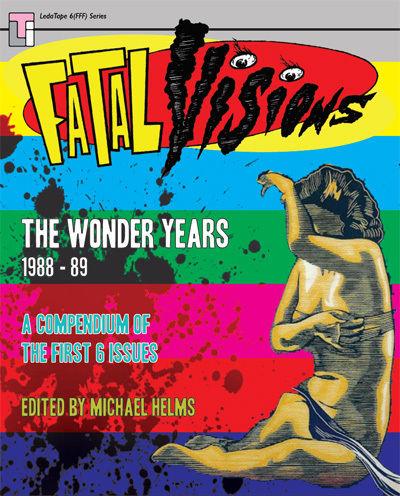 Devoted to sleaze, violence and sexploitation in the Cinema and wherever it appears on video, TV & in print, FATAL VISIONS went to places where few other Australian publications even knew existed: bottom of the package video titles, late late night TV movies, films that played announced as drive-in supports and in hard tops where they were lucky to play for one week only. Plus hundreds of sleazy film, tv and book reviews and much much more!